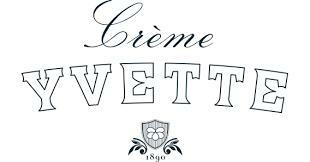 Creme Yvette, also called Creme d'Yvette or Creme de Yvette, is a proprietary liqueur made from parma violet petals with blackberries, red raspberries, wild strawberries and cassis, honey, orange peel and vanilla. It was once manufactured by Charles Jacquin et Cie in Philadelphia, Pennsylvania, who purchased the brand formerly made by Sheffield Company of Connecticut. It became almost impossible to find after production stopped in 1969. The liqueur was, however, recently resurrected by Rob Cooper, the creator of St. Germain elderflower liqueur.